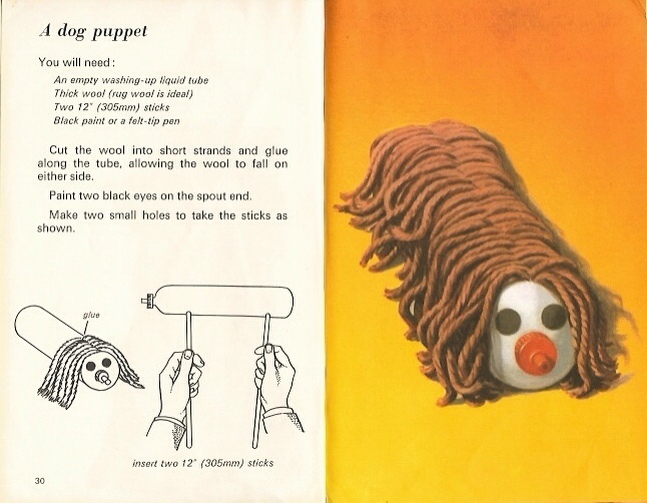 Are your kids complaining they’re bored, despite the mountain of ruddy toys they’ve conveniently forgotten about? 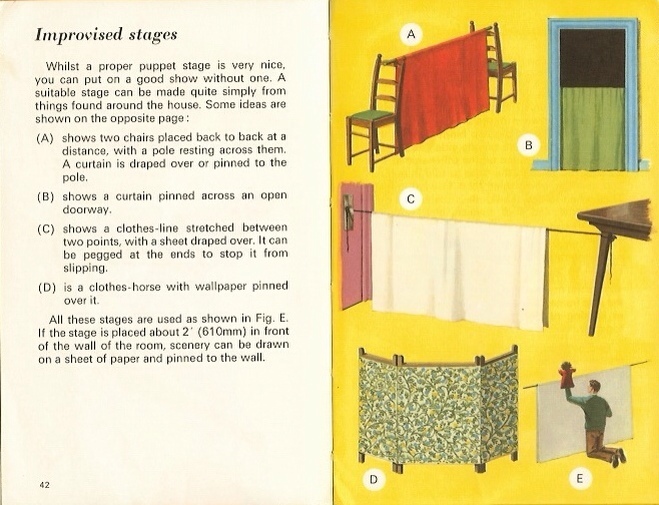 Well look no further than Tygertale’s handy selection of things to make and do as you hobble through the last few days of the Christmas holidays. 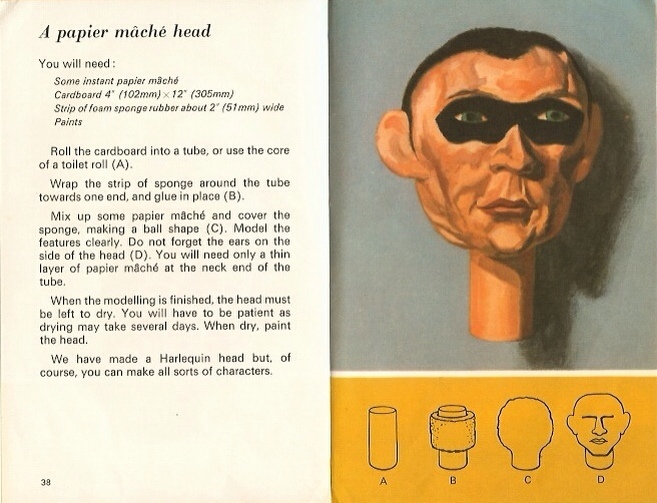 The Ladybird Book of Things to Make, is full of delights, like this false face, ideal for the budding young Occupy protester. 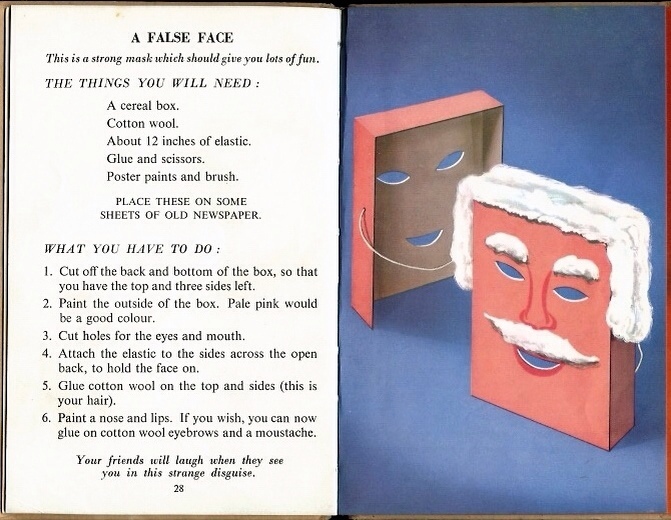 Or how about a 1950’s Ealing Comedy style bank robber from Easy to Make Puppets? Maybe a character from the latest TV hit? And here’s a rather brilliant way of bringing the three together in their own show. Tags: Beryl the Peril, Edward Lear, Ladybird. Bookmark the permalink.